In honor of Sgt. 1st Class Leroy Petry being awarded the Medal of Honor, I’ve attached a link to the Congressional Medal of Honor Society . Sgt Petry is only the 9th recipent of this esteemed honor since the Iraq and Afghanistan wars began. Here are the other eight. Sgt. 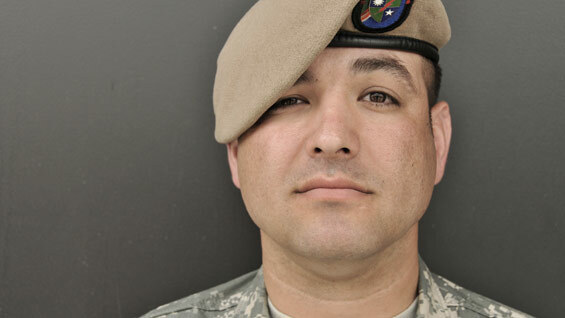 First Class Leroy Petry to receive Medal of Honor tomorrow. An Army Ranger from New Mexico who lost his hand throwing a grenade away from two fellow soldiers in Afghanistan will become one of only two living service members awarded the elite Medal of Honor in the current round of conflicts, Army officials said Thursday. Sgt. 1st Class Leroy Petry, who will receive the nation’s highest award for valor from President Obama on July 12, continued to bark orders at his junior enlistees even as he was being bandaged at the scene of a 45-minute fight with insurgents, members of his unit told reporters. Here is his profile on the Army’s MOH site. Time is running out to apply for the Career Development Program at Vets 2 Feds. Reminder! You have until Weds to apply for the Vets 2 Feds Career Development Program. A Requiem Mass will be held for (former First Lt.) Joe Butzerin at Holy Rosary Catholic Church at 10:30 am on Monday, July 11th. Starting Friday, July 8, at noon, Joe will be in repose at the Butzerin home at 4903 SW Hill Street, where visitors will be welcome at any time. A wake will be held on Saturday at 7:00 pm. Just added a section to our brand new website for job seekers. Look under Resources to find it. Hello West Seattle. Your local VFW is finally online. Be sure to check our page for the latest news on our activities and events.